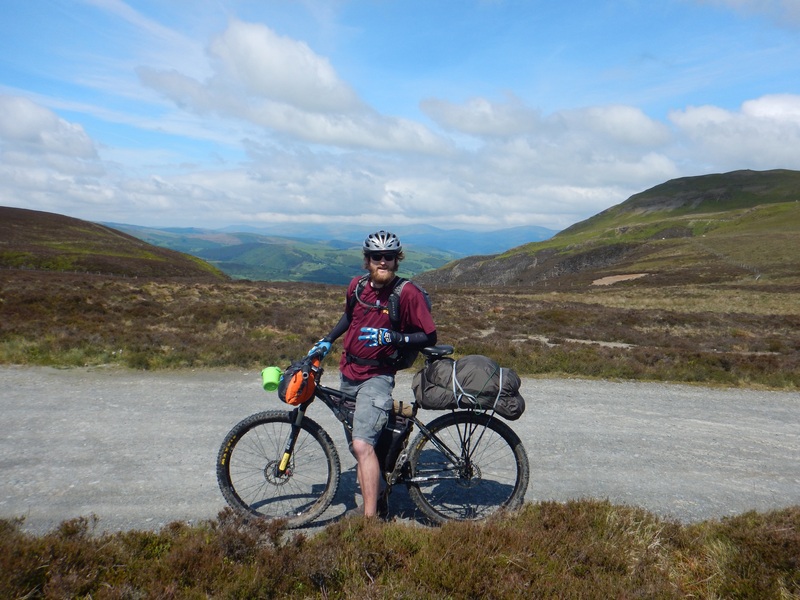 The Trans Cambrian Way is an epic mountain bike route that spans the width of Wales. It is typically covered in 3 to 4 days and run in the direction of east to west. 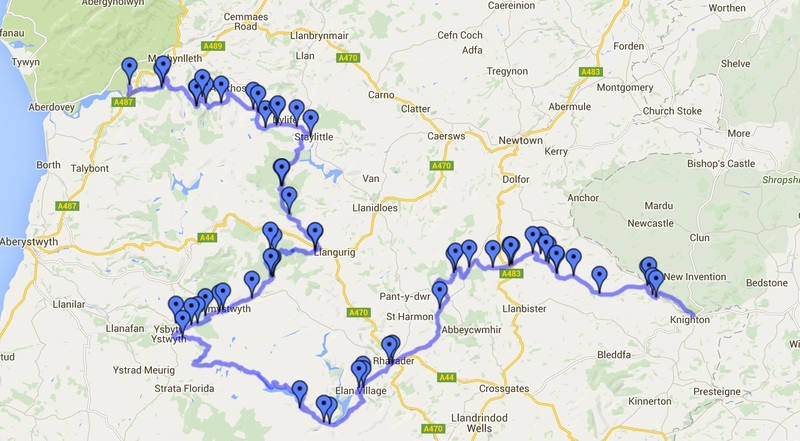 Since I had been coming from the north, unlike most people, I road the route from west to east starting in Machynlleth and finishing on the English border in Knighton. This direction gave me 500 feet more of climbing (oh joy). 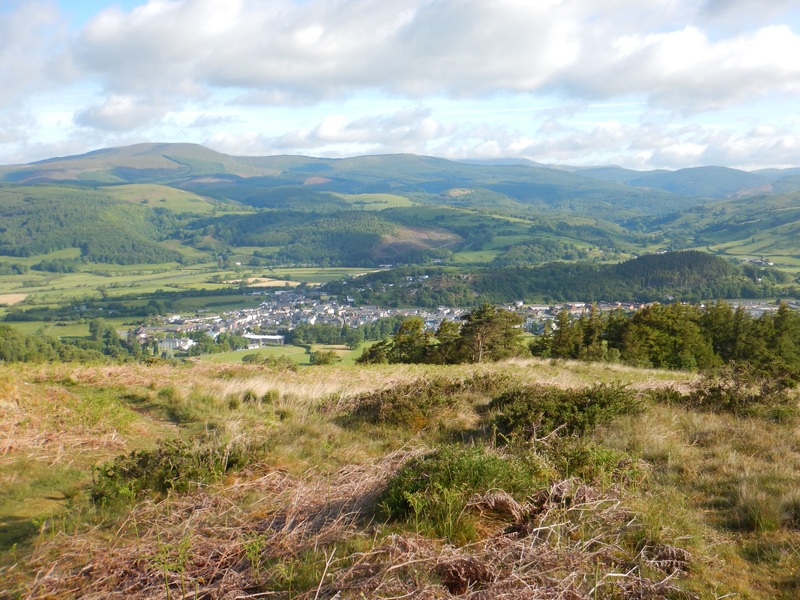 Leaving Machynlleth at 7:30am, I did not have much time to warm up before ascending up and out of the city. It was rough going and being on a loaded down single speed, I was soon hiking away. Struggling along loose rock, slipping and sliding trying to climb my way higher I thought it would never end! Low and behold, it was just the beginning of day 1 and I was already exhausted. Talk about one step forwards two steps back.. 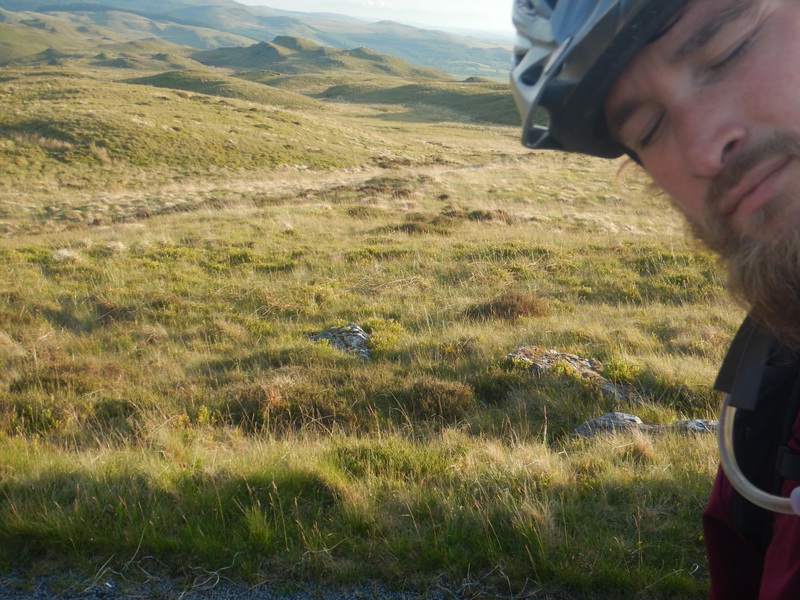 Eventually making it to the top of the climb, I was very grateful and continued on my way. While riding, I ran into three other mountain bikers that were on day 3 heading the opposite way from me and we had a nice little chat talking about the trail and other odds and ends. Further down the trail I came across a lady that was leading a teenage orienteering group. While she waited for them, we talked about the joys of being outdoors. How it is so nice to get away from the the constant hustle of city life and into the peacefulness, solidarity, and calmness the wilderness brings. It was a good 45 minute conversation and was great to slow down and meet new people. Isn’t that what traveling and bikepacking is all about? I still had lots of daylight left and many more miles ahead of me. 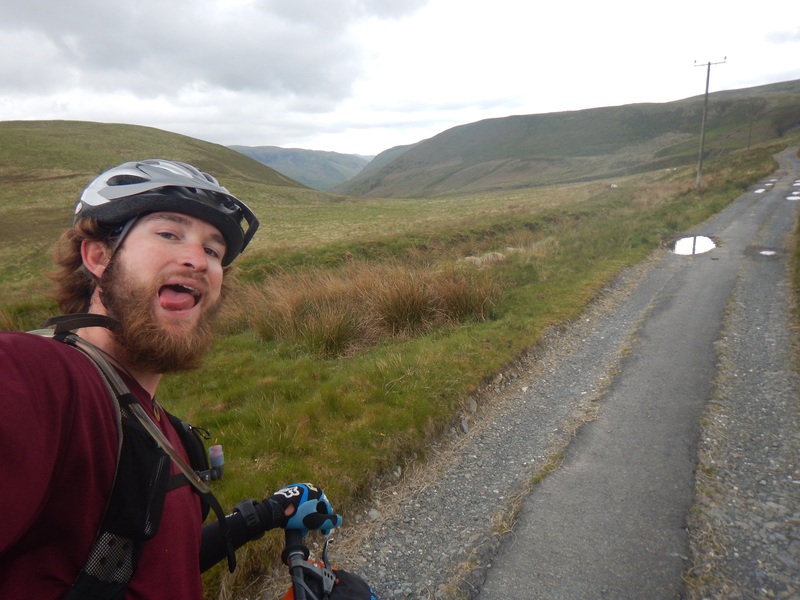 Pedaling through the Welsh land was phenomenal. 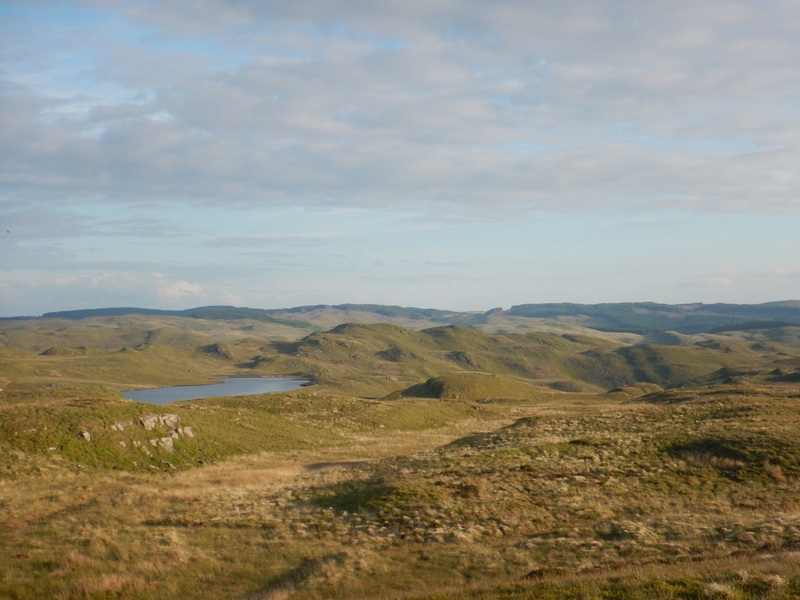 It was tough going a lot of the way but very rewarding with the remoteness and views. Descending down a short stretch, I connected with road and met another lady who was walking her dog and invited me to her house for some tea. Unfortunately I needed to continue on at this point and started the fun descent down the road. But just like everything in the mountain bike world, what goes down must go up and there I was again hiking away, pushing my loaded bike. Making some slow but decent progress, I came upon a wind farm out in the country. 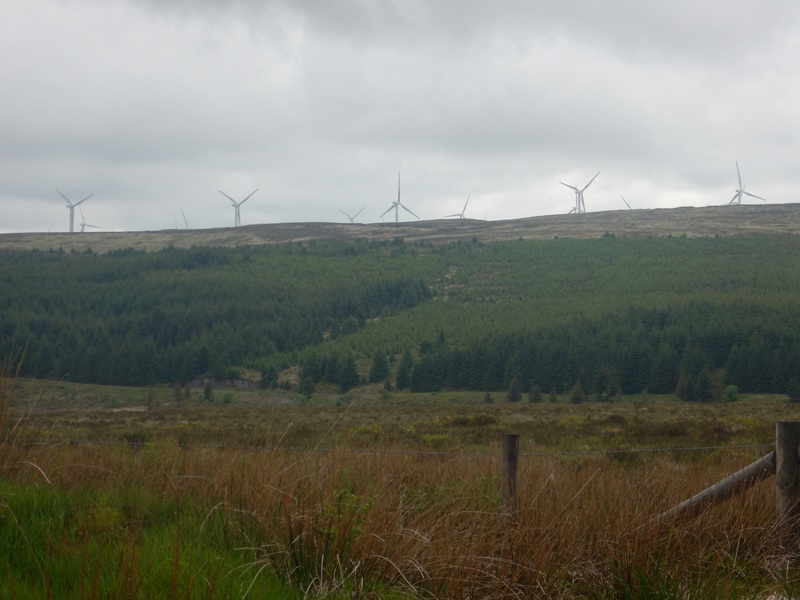 As the trail circled around the wind farm, I just kept pedaling enjoying the scenery as it passed me by. Another climb started along a half paved double track trail ascending higher into the hills. Boy was I getting tired of all this climbing and hiking! This was definitely turning into a tough, slow, and hard ride. Reaching the top I overlooked the rolling hills with various small bodies of water. I don’t know why I’m so excited about this climb!?!? It was getting to be around 7pm, my body was exhausted, water bladder empty but I kept pushing along to cover a little more distance and trail. 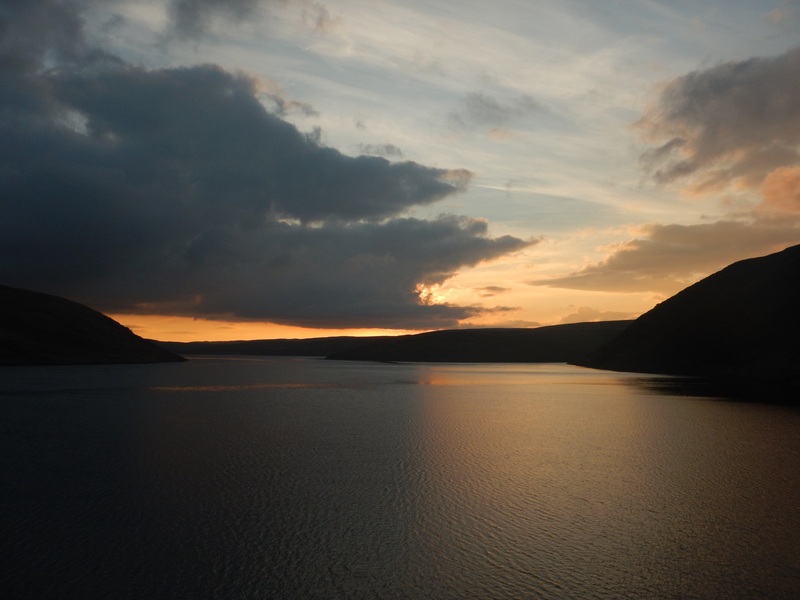 Reaching the Claerwen Reservoir, I decided that on the other side I would find a place to camp and since the weather was nice, sleep in the hammock. 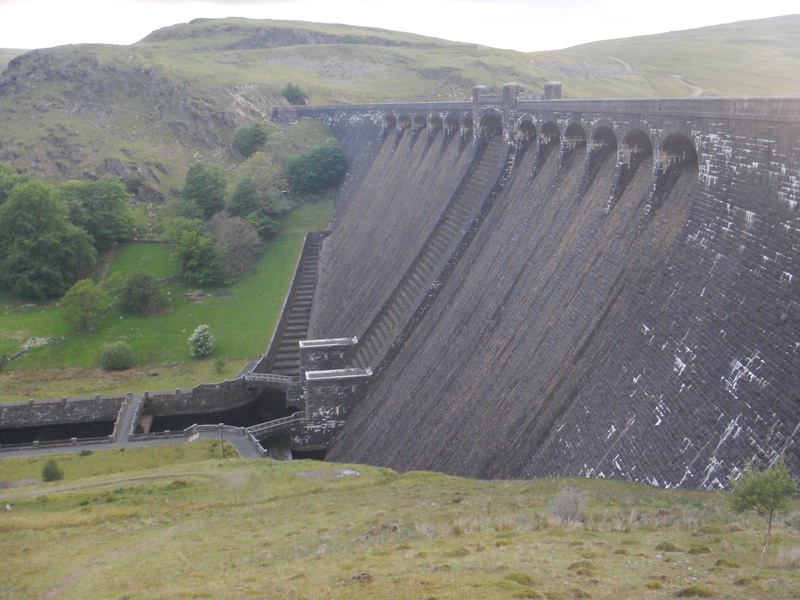 After circling the reservoir, I made it to the Claerwen Dam and was able to find some trees in a field next to the river to set up my hammock and eat some food. By this time it was 10:30pm and I was exhausted after the 14 hour day. Looking to get a good nights sleep, was too much to ask for. Day 1 was finished with a slow progress of around 70mi (112km). As I crawled into my sleeping bag, midges started to attack and bit me. This was not pleasant one bit and pulling the draw strings over my face tried to cover up and fall asleep as I was being swarmed and attacked, too tired to move or do anything about it. Half way through the night I woke up really cold and threw on long pants as well as socks and a jacket. This helped a little…for awhile. Morning light came and I realized I hadn’t chosen the best sleeping situation since I was freezing cold from the wind piercing through the hammock and sleeping bag. Next time, tent it is. As I crawled out of my sleeping bag shivering and not being able to feel my toes it was all I could do to pack up my gear and just get riding. Rhayader is only about 8 miles away so forget about changing clothes I had to try and warm up as my teeth were chattering away. Pushing each pedal stroke in my long pants, Under Armour cold gear top as well as jacket I gave it everything I had to keep moving and get the blood flowing to raise my body temperature. Then it hit me..I didn’t even eat breakfast! (Not to meant ion my lack of water at this point either). Running off fumes from the day before, I rolled into town and found a cafe. Scarfing down a delicious breakfast of eggs, bacon, sausage, mushrooms, beans, tomato, black pudding, and toast it really hit the spot. I filled up my water bladder as well as both water bottles chugging quite a substantial bit of water before leaving the cafe to help rehydrate me. I wasn’t going to run out of water and get that low again. 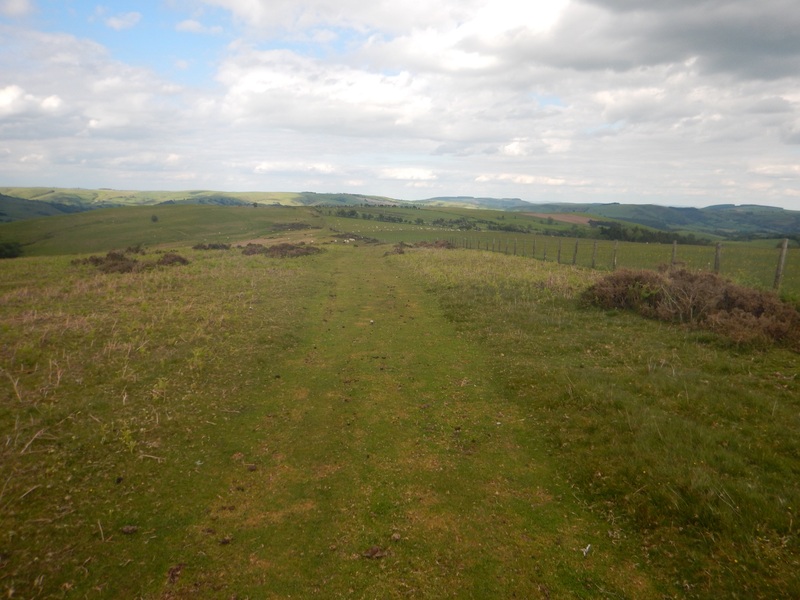 Leaving Rhayader, I entered into forest area and continued along the Trans Cambrian Way. My legs were not wanting to work. Between the long push yesterday, not eating or drinking enough, lack of sleep, my legs were not having it. 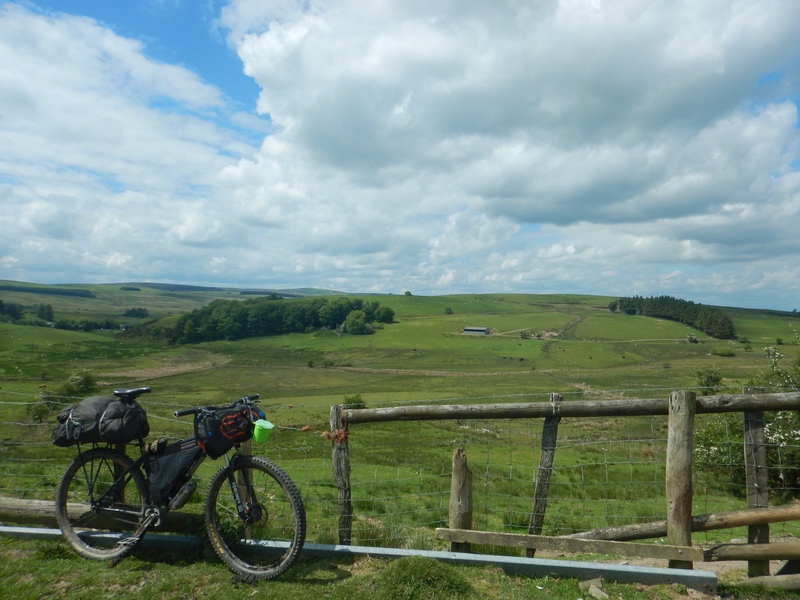 I struggled on and still enjoyed the journey and bikepacking through this beautiful country side. Some more hike-a-bike, some more pedaling, a rest stop here and there, I was making progress…slowww progress. Overlooking the farms below, I decided this would be a great place to rest and propped my bike against the fence. Sitting there in awe at this opportunity I had been given, boy am I blessed. The home stretch had come! 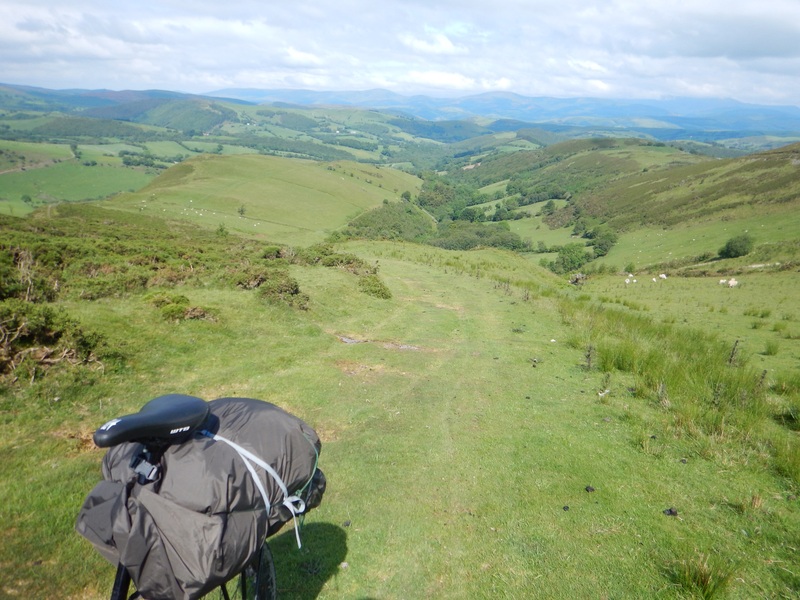 And the best part, a smooth grassy downhill descent through farmland into Knighton. This was glorious and my legs were eternally grateful. Coasting down the hill, I started picking up speed excited to see the finish for today. All the up hill struggle was worth it as I rolled into town to find accommodation. Nothing beats such a glorious home stretch! 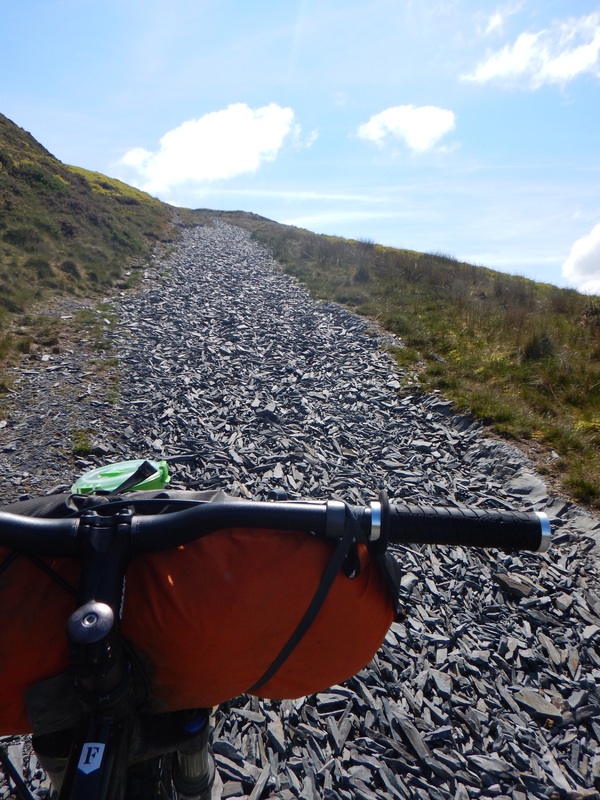 The Trans Cambrian Way is a great trail. Not an easy 100 miles by any means. Being able to finish the route in two days, I was content and more than happy with. 14 hours the first day was the longest I had been on the bike and one of my toughest days with the never ending amount of hike-a-bike. 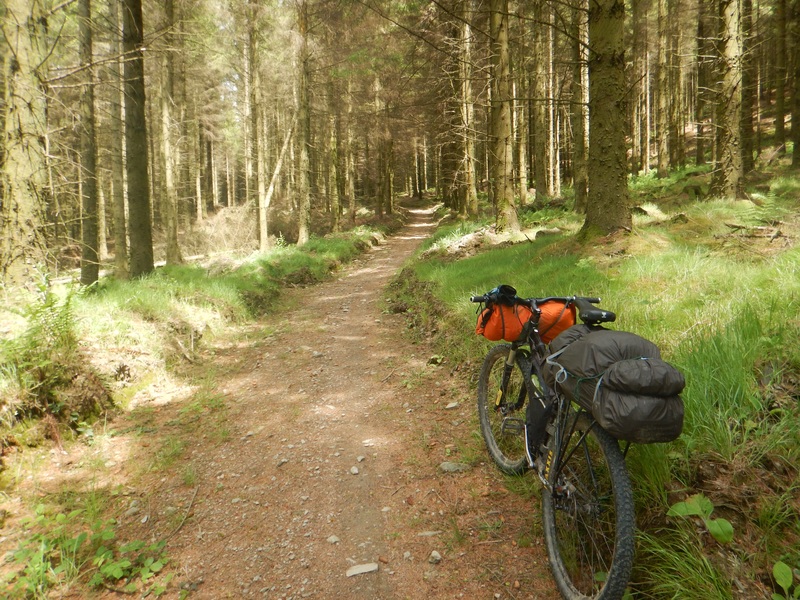 If you are looking for a remote route, this is definitely it with a great variety of single track. It is tough but well rewarding! Yes— Blessed is right on!